The results of our latest Cutest Anime Girl contest have been prepared and are available here. This years winner is Horo (Spice and Wolf). Our member zeratul2k won the DVD of "Transformers the Movie 20th Anniversary Special Edition." 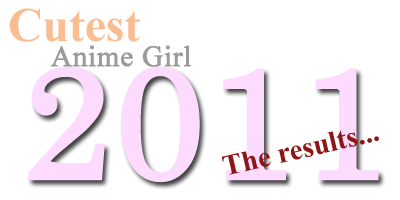 Thanks to everybody who took the time to vote and we hope to see you all again next year for the "Cutest Anime Girl 2012" contest.